Indigenous advocate Jesse Wente reflects on how Gord Downie's newest project is moving the national conversation around reconciliation forward. "Now is the moment to begin the hard work, and that start lies in art"
Gord Downie and Jeff Lemire's project Secret Path is not the first work of art to approach the legacy of residential schools on Turtle Island — but it is the one likely to reach the most people. 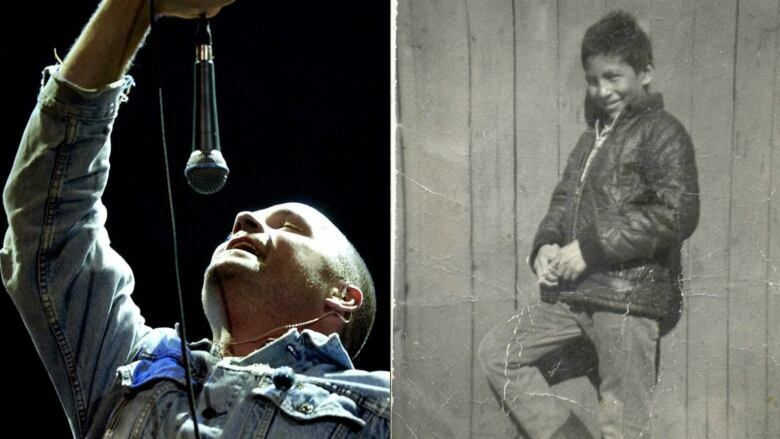 Downie, whose brother Mike told him the story of Chanie Wenjack, was so moved by how the story embodies the truth about Canada that he decided to make it part of his legacy. Perhaps Canada's greatest rock star, Downie revealed that he had terminal brain cancer earlier this year, embarking on a national celebratory tour climaxing in Kingston with a concert broadcast to roughly 12 million and attended by the Prime Minister. Twice during the show, Downie referred to the need for reconciliation with Indigenous people, almost certainly the most public call for action in this nation's history. With the release of Secret Path and the launch of his charitable foundation, Downie has gone from rock icon to change maker, with a legacy that may reach even further than his extraordinary music. That Downie has devoted this time to call attention to these issues is keeping with an artist who has always been engaged with larger cultural issues — and indeed, there will be no larger issue for Canada to face in the coming decades than its historical and current relationship to First Nations, Métis and Inuit people. With the nation's sesquicentennial looming, and in the wake of the Truth and Reconciliation Commission and the soon-to-begin inquiry into the epidemic of murdered and missing Indigenous women, there are certain to be many more artistic interpretations of that relationship to come. Artists are often the first to reflect cultural shifts in their work — certainly before national institutions and governments, which in this case find themselves ill-equipped to truly confront issues of reconciliation. An artist of Downie's stature dealing with this subject matter — and in such a respectful, impactful way — helps seed the ground for other projects and expressions of truth, especially those of Indigenous artists. As Downie's work suggests, now is the moment to begin the hard work, and that start lies in art. Read two-spirited poet Gwen Benaway's take on the importance of Secret Pathhere. Art is ideal for confronting uncomfortable truth — and here the truths in need of reconciling are among the most discomforting Canadians will ever encounter, made more so by their implicit involvement. Indigenous artists have been telling our stories in their work for years, and now more than ever, Canadians are primed to hear them. Listening to Indigenous people will be a new activity for much of Canada, and while direct discourse has proven complex and often confrontational, the mediated conversations encouraged by art are vital to the dialogue necessary if we are ever to see reconciliation on this land. Art can be a bridge to understanding and empathy, and if recent dialogues around Indigenous sports mascots have taught us anything, it's that the valleys in empathy and understanding between Indigenous people and the newcomer population are perhaps wider than thought before. So Canadians should turn to the artists and their art. They will find a community ready to engage in these conversations and an Indigenous arts community at an apex in its power and creation. From Tanya Tagaq and A Tribe Called Red to Rebecca Belmore and Alanis Obomsawin, from Joseph Boyden and Leanne Simpson to Zacharias Kunuk and Tara Beagan, there is a legion of Indigenous creators who have been embedded in reconciliation for years. These artists' work provides a pathway forward for the multiple nations that exist on this land — a pathway that Gord Downie just helped to illuminate for many. Jesse Wente is a columinist on CBC's Metro Morning, public speaker and Director of Film Programmes at TIFF Bell Lightbox. The Secret Path album and graphic novel were both released today and the animated film will be broadcast on CBC in an hour-long commercial-free television special on Sunday, October 23, 2016, at 9pm (9:30 NT) — with a livestream here on CBC Arts.